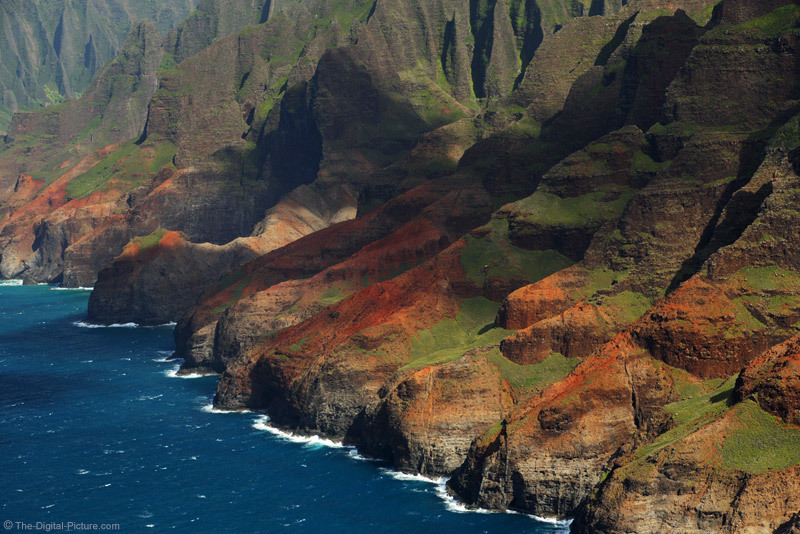 Steep and frequent sea cliffs make up the heart of the Na Pali Coast in Kauai. Using a circular polarizer filter is key to capturing landscape images that pop. A downside to using these filters is the light loss the bring with them. Shooting from an open-door helicopter means extreme winds that require fast shutter speeds to counter. Combine the filter with fast shutter speeds and you are going to have to increase the ISO settting higher than usual for landscape photography.